Click one of the links below for specific garment guides, or read on and find out how to find the best tailor. The giant of American history was a great man, but he forgot to mention “alterations.” Sure, there’s a chance that you might be able to buy a ready to wear (aka “RTW”) suit jacket, put it on, and walk out looking like you just emerged from a Savile Row tailor. In that same universe, Kenny G will put out a heavy metal album and Snapchat will become acceptable for business communication. 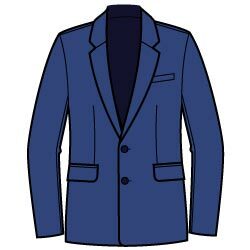 As was mentioned in “How to Buy a Suit”, if you decide to purchase an off-the-rack garment, there is 99% certainty that you will require the services of a tailor. If you are gifted enough to be one of the extremely rare few who can buy ready-to-wear clothes and not need any work done to them at all, you can skip this article. For the rest of you, read on. Aside from that there are many small tweaks you can make to sharpen up your garments. We have developed guides for each garment detailing the alterations that are a piece of cake, all the way through to the near-impossible. But first we must find a good tailor to actually make the alterations for us. This is like finding a good doctor or a good lawyer. You know they’re out there, but where are they to be found? 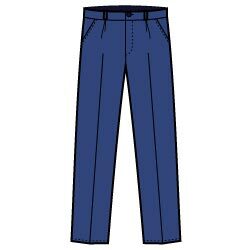 Some of this will be trial and error, so even if you take the following advice, start with a simple alteration like shortening pants. Since we live in the 21st century, the Internet is a great resource that can be used. Go to Yelp or Citysearch and look for tailors near your zip / postal code and see what the reviews say. Don’t just look at the star ratings, actually read the reviews so you can get a feel for the work that was done and its quality. A less technology-driven method would be to ask your best-dressed friend where he gets his clothes worked on (this should go without saying, but we thought it’d be remiss to not mention here). If you’re completely on your own and all of your friends and relatives dress like schlumps, then your best bet is to go into the nicest men’s shop in town and ask who they use for tailoring. Many stores have onsite tailors, so if you’re buying from them, it’s generally easiest to let them do the work if you don’t have your own tailor yet. Even if you didn’t buy the clothes there, some companies (like Men’s Wearhouse in the USA) will still do your alterations for you, they’ll just charge you a bit more than they would one of their own customers. If the store doesn’t use an onsite tailor, ask them to share who they use. Chances are it’s a local shop that would appreciate the additional business you’d bring. What you’ll generally want to avoid is taking complicated alterations to a dry cleaner that also claims to be a tailor. Certainly, some exist that will do good work, but generally they’re only good with simple alterations. Let’s break down suits into three sections: coat, waistcoat (vest, in American English), and trousers. We have also created a dress shirt page as they are so linked to the suit, and deserve just as much attention. Each section shall detail the major alterations that can be performed, note which ones are possibly “worth it”, and indicate which ones might be a bridge too far (meaning you shouldn’t have bought it in the first place!). Over time, your tailor should fill a space in your life akin to that of your favorite bartender or barista: a person with whom you have good rapport and who knows your tastes and preferences. The key to this is to communicate honestly and openly with your tailor. Be up front about your likes and dislikes. 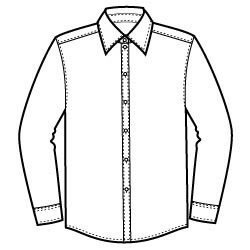 Your tailor, like any professional, would rather learn this information up front as opposed to doing work that you then ask to have re-done. This costs money for you, time for him, and is an unpleasant experience all around. Over time, your tailor will learn how you want your clothes to fit, and you will learn how he does his work (i.e. what does “slim” or a “slight break” mean to him?). His good work should be rewarded with your loyalty, and your loyalty can often be rewarded with a “yes” instead of a “no” when you ask for the occasional rush job. Listen to him when he tells you that he can’t do a job or that an alteration is a bad idea, because he’s a professional who knows what he’s doing. Above all, do not piss off your tailor. You’ll end up either naked or poorly dressed.